Have you ever noticed people who are in love light up when they talk about the person they are in love with? 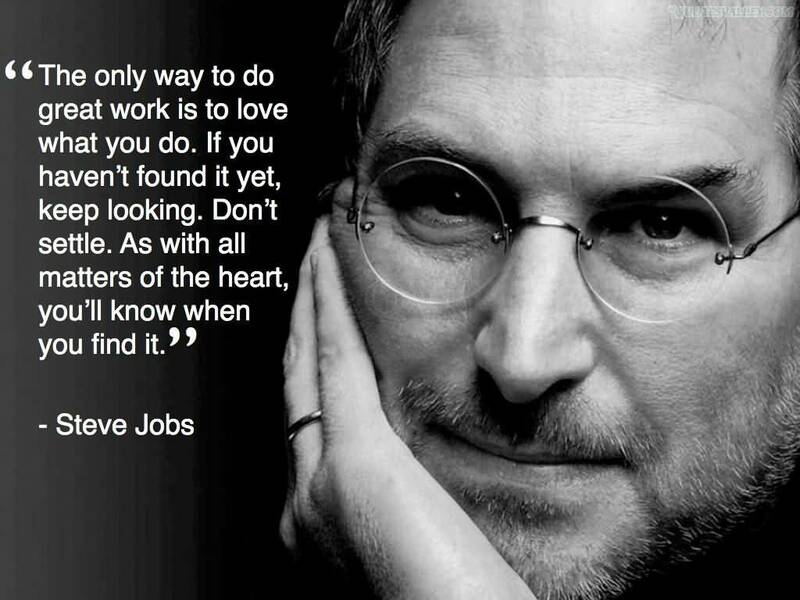 Well exactly the same happens for people who love what they do. They get excited, their voice raises a pitch, they're animated and you can't shut them up. And it's just this energy that gets them through the innumerable tasks they have to manage, working long days and weekends, but the funny thing is to them it's not work. They wake up ready for the day, galvanized with what little sleep they've had and today they're going to work harder than yesterday, just because they want to. The first stonemason was hard at work, sweat beading his brow, "I am cutting this stone", he grumbled. The second stone mason, though less distraught, responded with a deep sigh, "I'm building a parapet". The third stonemason, replied with a radiant face, "I am building a beautiful cathedral that will glorify God for centuries to come." All these people seem to know their WHY? As Simon Sinek states in his TED Talk, and only once they're sure of their WHY do they move on to the what and how. It's worth noting that just because you love the big picture of what you do doesn't mean you won't have to deal with tasks you don't love doing. That bit's going to require sheer disciple to make you do it. One way of handling that is to deal with the toughest job first thing in the morning. Another way of ensuring you keep feeling the love is to create yourself a workspace that reminds you of your purpose, such as a wall of all the things that inspire you, just your favorite quote on a post it on your laptop can do the trick. Now, will doing what you love guarantee you riches and success? Not necessarily, but it will offer you a different, much deeper kind of wealth; you know the stuff money can't buy. In life people fall into two categories, those that exist and those that live, and the ones that do what they love tend to fall in the second category -- up to you which one you'd like to be. Yes -- it's like another other lifestyle choice that we make. We spend five out to seven days at work, don't you think it's kind of essential to love what you do?